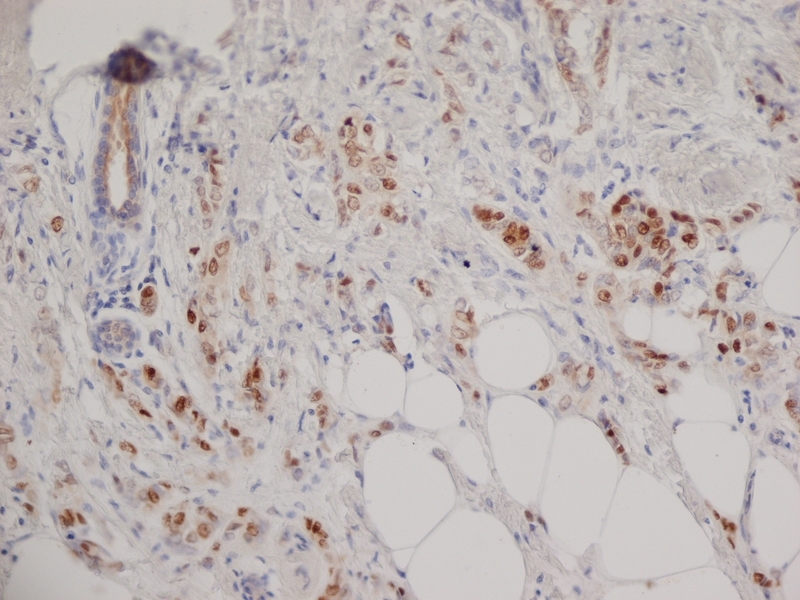 Mouse anti Human Progesterone Receptor antibody, clone 1A6 recognizes the human progesterone receptor which is a member of the steroid family of nuclear receptors. The steroid hormones and their receptors are involved in the regulation of eukaryotic gene expression and affect cellular proliferation and differentiation in target tissues. 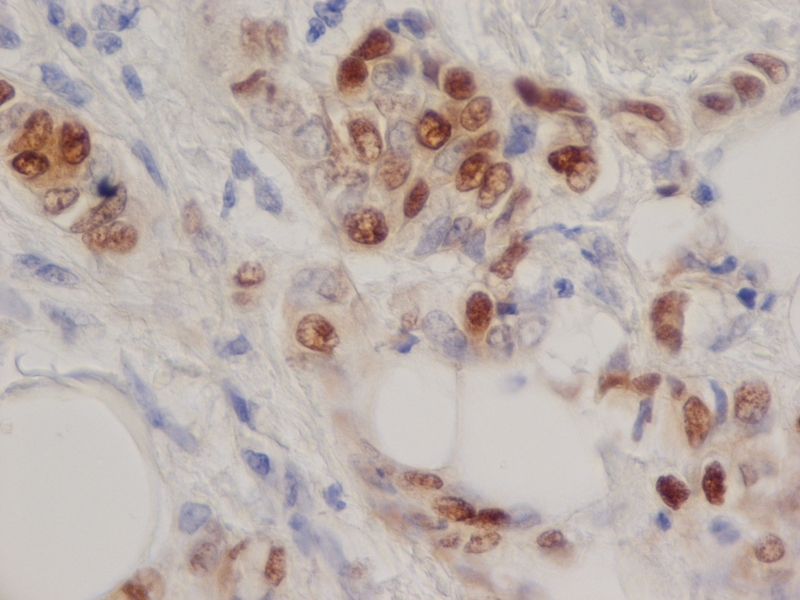 The detection of estrogen (ER) and progesterone (PR) receptors using immunohistochemical staining of formal fixed paraffin embedded (FFPE) tissue, has gradually replaced ligand binding assays (LBA), to become the most common method for the determination of the ER/PR status of breast tumors. 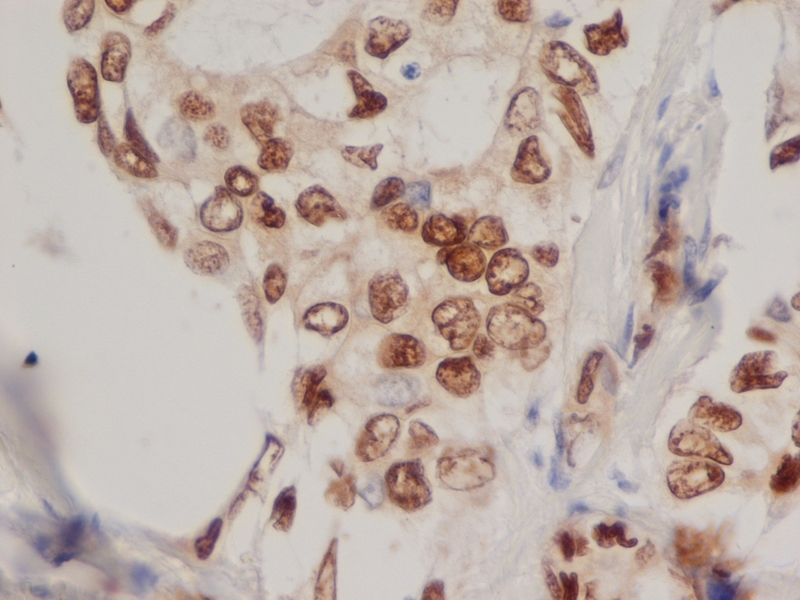 Approximately 75% to 80% of breast tumors have estrogen and/or progesterone receptors, and the presence of these receptors helps determine both the patient’s prognosis and the effectiveness of hormonal therapy. 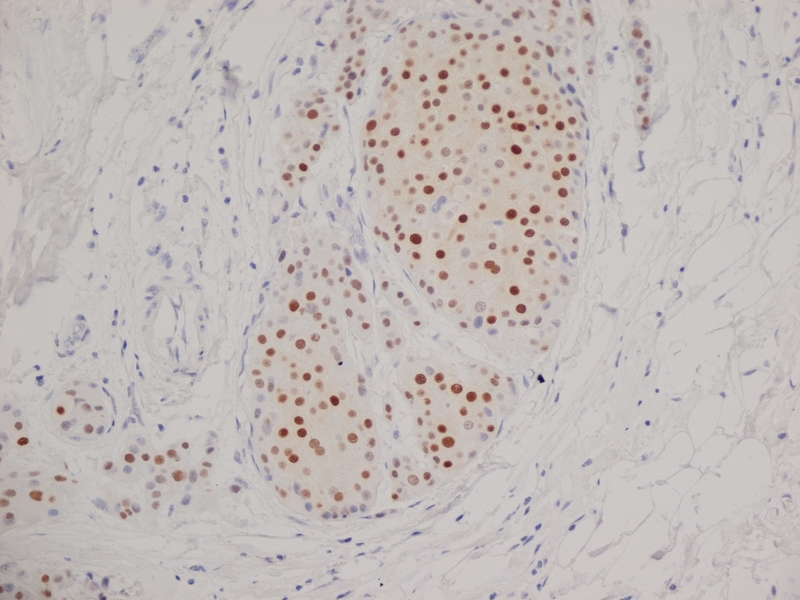 Synthetic peptide corresponding to a site of predicted high antigenicity on the human progesterone receptor. 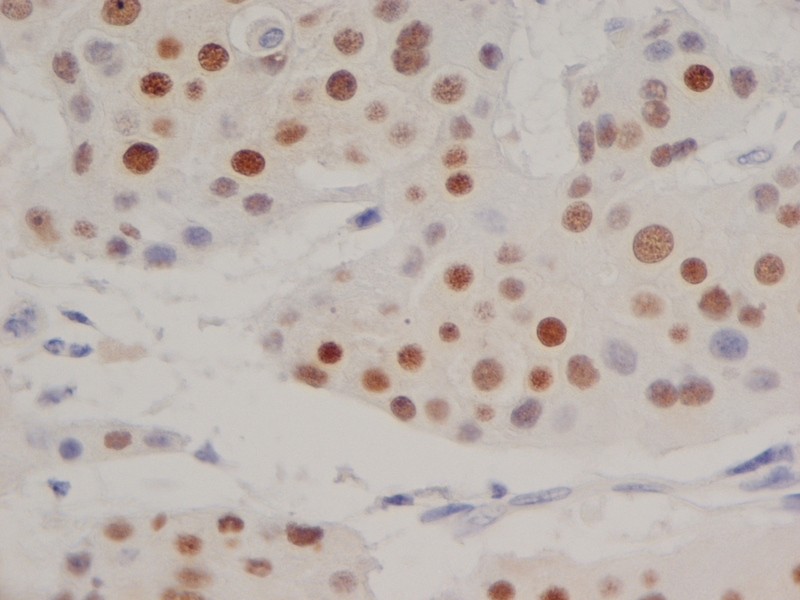 Spleen cells from immunized mice were fused with cells of the mouse p3-NS1-Ag4-1 myeloma cell line. Ambroise, M. et al. 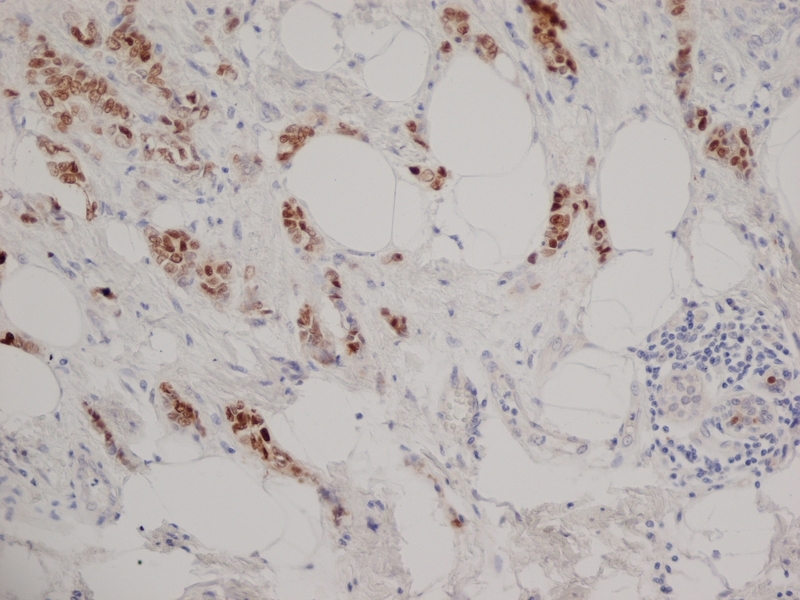 (2011) Immunohistochemical profile of breast cancer patients at a tertiary care hospital in South India. 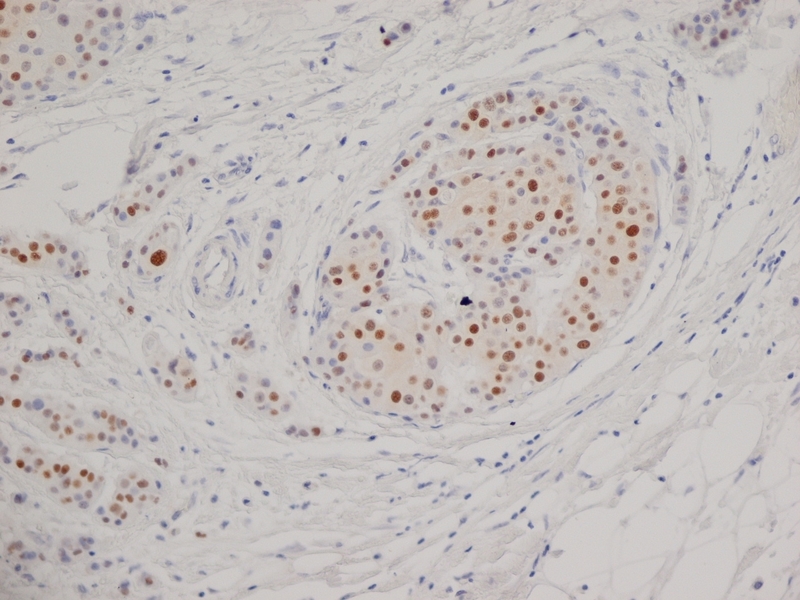 Asian Pac J Cancer Prev. 12: 625-9.